Modern French classics with a twist. Sit down and enjoy our delightful baked goods, take some with you, or contact us for all of your catering needs! 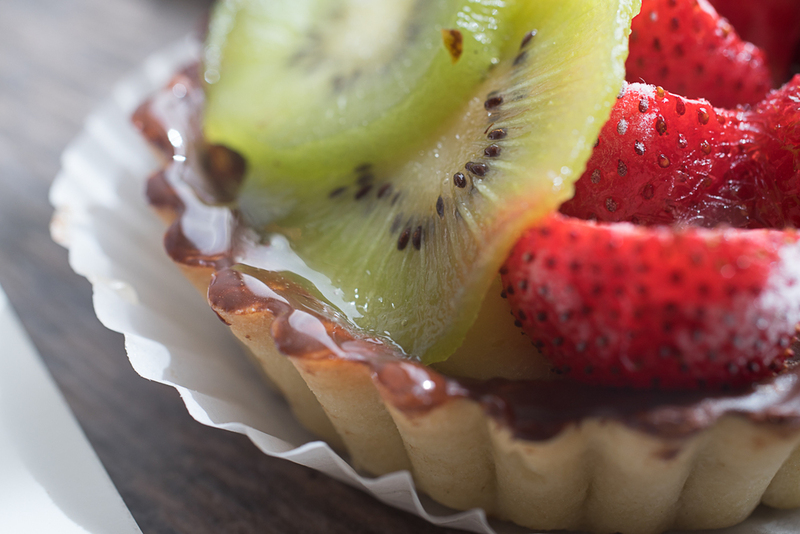 A wide variety of delectable tarts made fresh daily. Sure to make to make your mouth water. Macaroons with homemade ganash - always fresh! Traditional Frenchway made macarons. Made with real ganache - no artificial flavoring. Everyday we have a wide selection of featured bread for you to enjoy. We at the french way believe in everything that comes from our kitchen, it is the heart and soul of who we are. We support local producers whenever possible and then pass the freshest most delicious ingredients on to you. Whether we are baking up our famous breads with our wholesome flour or creating a fresh salad with artisan greens, we stand by what we serve and hope you enjoy the passion that goes into all of our food. Inspired by the belief that great food must be made with the finest market ingredients, artistry, and craftsmanship, the FrenchWay Café and Bakery is a union of exquisite tastes and a philosophy in cooking. Desiring to capture the essence of an authentic French café and bakery experience, owners Larissa Webster and Chef Olivier Fortat’s shared dream came to fruition in 2008. Located in Winnipeg’s Corydon Village, The FrenchWay Café & Bakery is sure to please. With an inviting space and friendly staff, The FrenchWay serve only the highest quality, home cooked meals, fresh baked breads and divine pastries. Providing locally roasted coffee, organic teas, and Manitoba-sourced ingredients. An expansive menu affords the opportunity to taste something new each time you visit, be it for lunch, or, a Paris-inspired all day breakfast. The FrenchWay accommodates vegan and gluten-free choices, special orders, and offer catering services tailored to your needs. The FrenchWay is a vibrant fixture in the community and has all the right ingredients needed to deliver a genuine delight. Join us at the Frenchway and dine in our cafe style atmosphere. Have a cup of locally sourced Wellington Fine Coffee or CTC Brewt tea with a friend or get introduced to the Frenchway of baking with our fabulous selection of pastries. Enjoy one of our famously fresh salads or our soup of the day, all made fresh with local ingredients with love from our top chefs. We love a good cup of coffee, we chose our coffee's to pair with our pastries and they add a beautiful compliment to whatever you are craving. We serve the locally sourced Wellington Fine Coffees that are sure to please. We make a great cup of tea! Offering a wide variety of locally blended loose leaf teas from CTC Brewt, who provides the FrenchWay unique and delicious tea varieties to savor at the cafe or take home and enjoy. Contact us and see how we can make your event extra special.